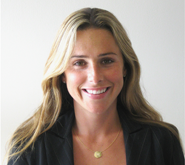 Nicole is responsible for the overall operations and marketing initiatives of Pontus Capital. Prior to joining Pontus, Nicole was Director of Portfolio Management for a boutique private equity investment firm, where she was responsible for the acquisition and management of over one hundred non-performing loans. Before moving to San Diego, Nicole was an Assistant Marketing and Product Manager for Disney and Associate Marketing and PR Manager for John Roberts Powers, an LA based talent agency. Nicole holds a BA from University of Southern California.